The Pocket Rescue Tools were developed specially for the professional rescuer involved in adverse search and rescue operations. They prove their worth thousandfold day-to-day during adverse operations of fire brigades, SAR units, police and military forces. 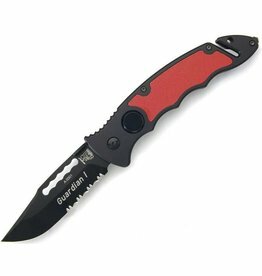 Their unique dual function, universal multipurpose pocket knife and life-saving emergency tool, makes them the ideal companion in everyday life as well as a must-have in vehicle tool kits. 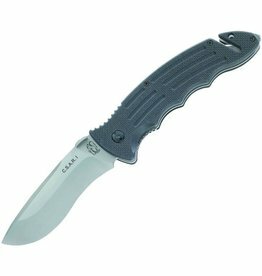 The Pocket Rescue Tool XII is a pocket rescue knife featuring a stump blade with a partial serration. 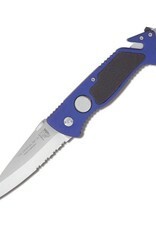 It is designed for safely cutting clothes. 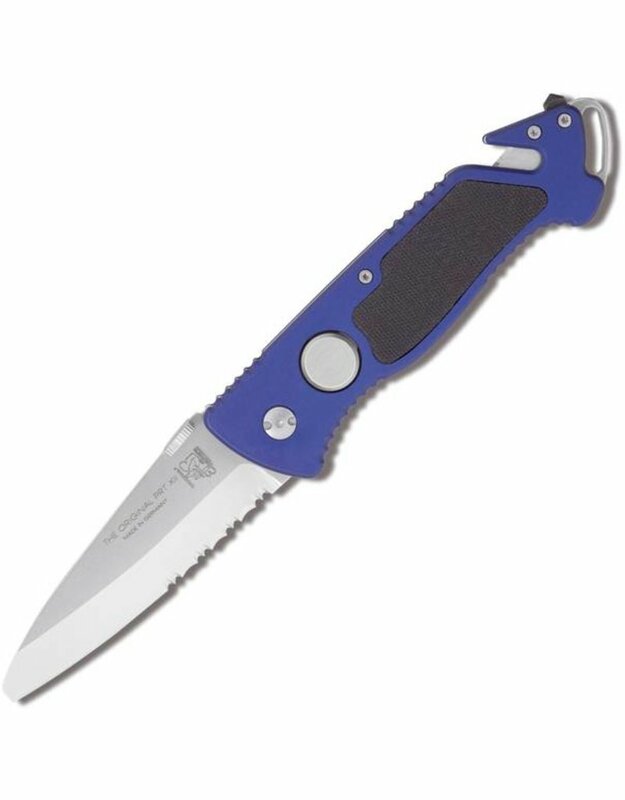 The grip is a blue, anodized aluminum with a slip-resistant rubber, a robust belt clip, a liner lock system with a safety stop, an integrated belt cutter and a glass breaker.